Massive Passive Aggression | Normative Signs: The Poetry of "Ought"
This is one of the more passive-aggressive normative signs I’ve ever seen. Truly beautiful. 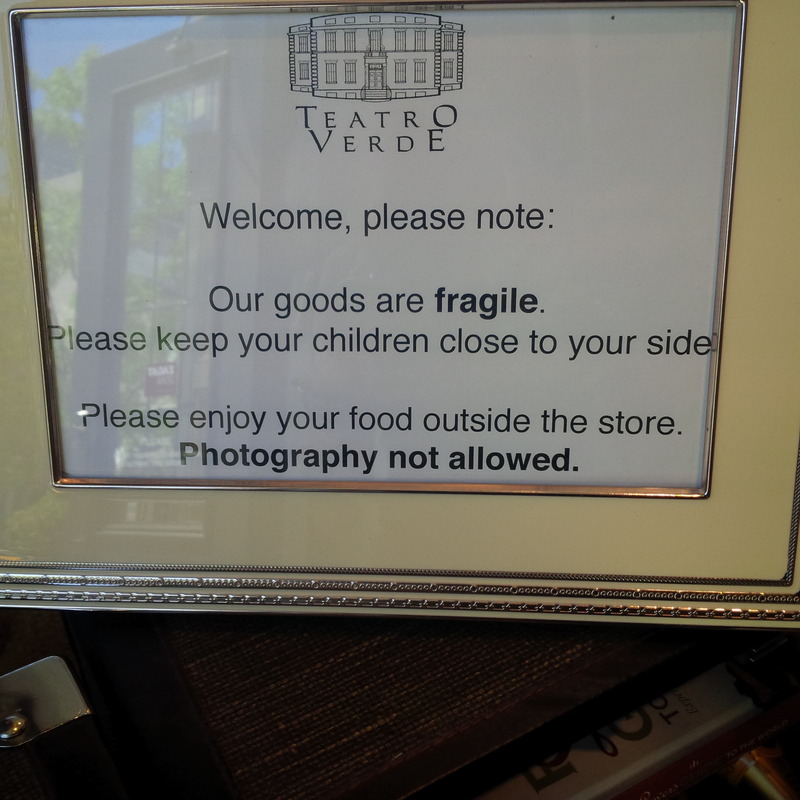 It’s posted at a store called Teatro Verde in Toronto. It almost takes passive aggression to a new level. Almost effusively polite, but quite clearly laying down the law. You can almost hear it in your head: “Kids? Why yes we LOVE kids. As long as they’re on a leash. And oh, look! You’ve got ice cream. How lovely. You really, really should enjoy the sun out on the sidewalk while you finish that. No, please, we insist. Thanks to Nancy Walton for ignoring this sign’s final rule in order to snap this photo.